Are you enjoying all the things I made at retreat this year? I only have two more to share after this one. This one was also a challenge. I had to use the decorative frames embossing folder. It didn’t matter which one. I went with the oval anyway. I also used some of the Crumb Cake seam binding Madonna gave us. Yep another freebie from Mads. 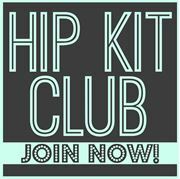 Did I mention that she is the best upline EVER!! I was also very proud that this was the only Crumb Cake card I made. We all know that this is my favourite colour for cards, LOL! 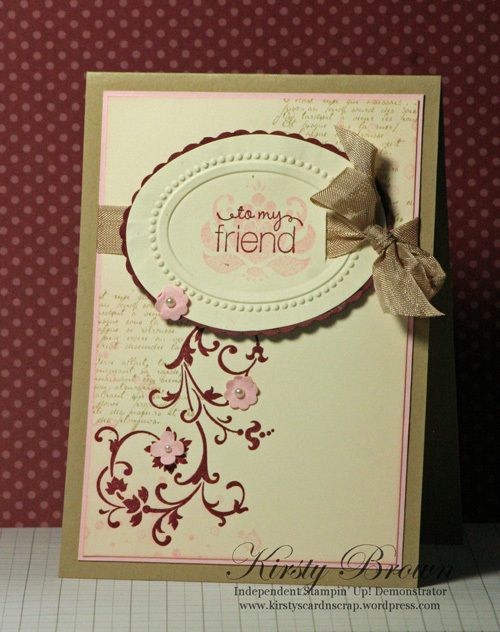 I used stamp sets Friends Never Fade, Elements of Style, French Foliage and Friendly Phrases. I used the colours Crumb Cake, Bravo Burgundy, Pink Pirouette and Very Vanilla. You may have noticed on my Easter card also the scallop border around the oval. I used the Dotted Scallop Ribbon Border punch and used the same technique I used on my Elements of Style card. I threaded the seam binding through the sentiment piece and tied a bow. I just used a hobby knife to make the cut. Very simple. I used the Itty Bitty shapes punches to make the flowers and added a pearl in the centre. I love how petite they are. Even though they are so small I think they make a big impact on the overall look.